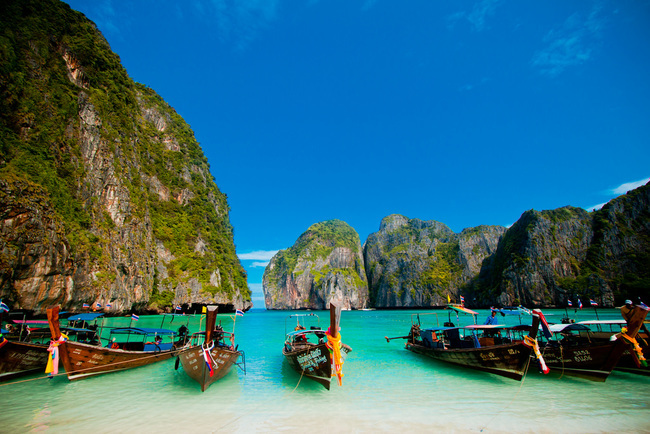 A popular reason for visiting Thailand – aside from the elephants and the cuisine – is its many kilometres of gorgeous coastline. Those who arrive in Krabi searching for picture-perfect views of the beach they’ve seen on social media don’t leave disappointed, as Krabi is home to some of the most spectacular beaches in the world. 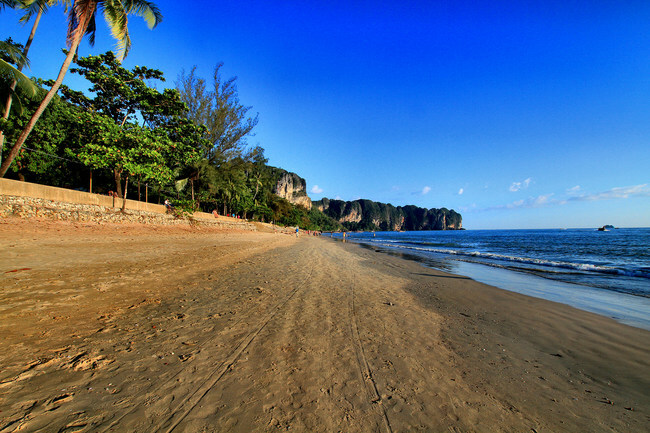 Here’s our round-up of the most beautiful beaches Krabi has to offer. Situated close the hub of Ao Nang but accessible only by boat due to the sheer cliffs surrounding it, Railay Bay is a gorgeous, unspoilt piece of land that’s adorned the front of postcards for decades. 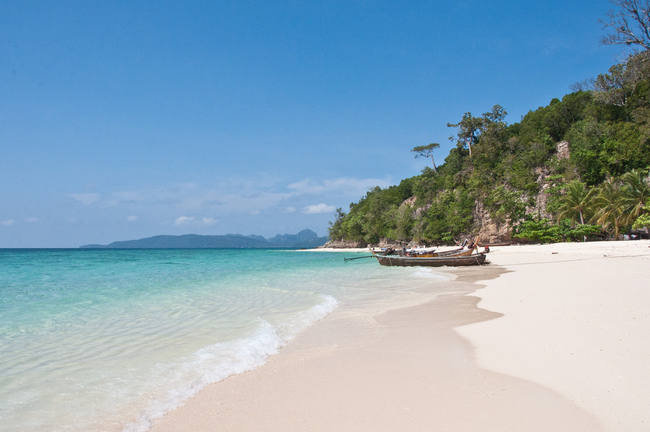 With several beaches to choose from, Phra Nang beach is arguably the most spectacular of the lot. With turquoise waters interrupted only by the limestone karst erupting from the floor, it’s a great place to soak up the sun and relax surrounded by the majesty of nature. While you’re here, don’t miss the unusual phallus shrine embedded in the cliff (with offerings believed to aid fertility), and a chance to do some of the best rock-climbing in Thailand. 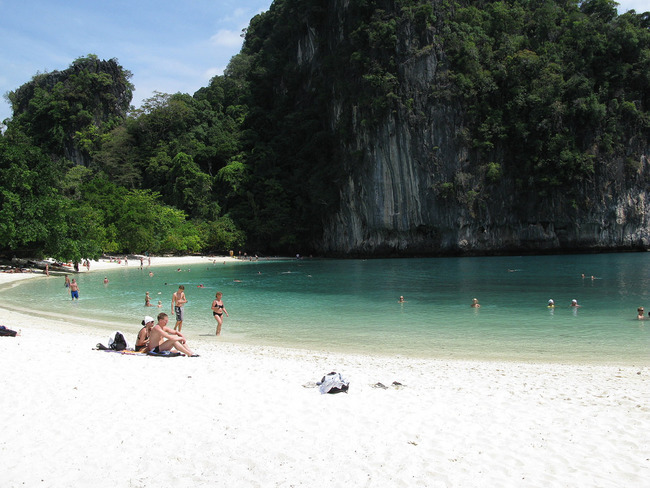 No list of the best beaches in Krabi is complete without arguably the most famous one of all – Maya Bay. Thrust into fame as a result of the movie The Beach, starring Leonardo DiCaprio, it’s been a hit with tourists ever since, with thousands flocking to visit it every day. To say it gets crowded is an understatement, but if you’re willing to get up early enough, then you can enjoy the beach almost all to yourself and get the perfect shot in the water with one of the world’s finest backdrops. Just 13km from Koh Phi Phi’s Tonsai pier lays the pristine Bamboo Island. With a diameter of around 500m, it’s a tiny island with little in to do in terms of activities, but it has the clearest waters of any beach in Krabi, making it perfect for snorkelling. With its coral-strewn white sand, cystal-clear water and thick, green bush in the centre, it’s the closest thing to an island paradise and is definitely worth a visit. In the Thai language, hong means room, and the island is named as such due to the large lagoon chamber located in the middle. Depending on the tide levels, the water’s colour changes from emerald green to turquoise and back again; both colours look stunning, surrounded by the mountains that envelop the lagoon on all sides. As well as the lagoon, there’s also a large stretch of beach along the edge of the island with trees from the rainforest behind spilling out onto it, providing not only a natural feel, but also some respite from the sun. The most popular of all the beaches on the Krabi mainland, Ao Nang beach has soft sand and warm water, making it a great place to spend a few hours enjoying a spot of swimming and sunbathing. In high season it tends to get pretty crowded, but that’s no surprise; with a gorgeous mountainous backdrop and picturesque wooden boats skimming across the horizon, it’s the perfect place to unwind, with countless bars and restaurants just a short walk away too. 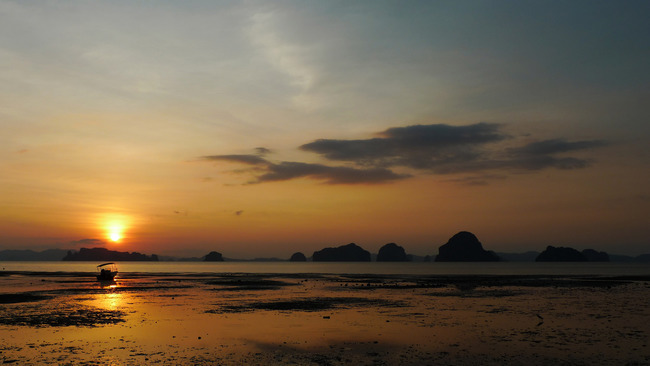 Just a short drive away from the hustle and bustle of Ao Nang lays the serene beauty of Tub Kaek beach. More beautiful than Ao Nang and with far fewer people, Tub Kaek’s coral sand and calm sea has long been the beach of choice for both expats and locals who want to get away from it all. Surrounded by thick rainforest and with Krabi’s typical mountain views, it’s a wonder that Tub Kaek hasn’t proven more popular with tourists – not that you’ll find those who do visit it complaining. It’s the perfect place to catch the sunset, as the sun falls behind the mountains and into the sea in front of you. A favourite with the Thai locals, who’ll gather for picnics under the tree line, while it might not have the dramatic beauty of Phra Nang’s cliffs or Hong Island’s lagoon, it’s still perfectly picturesque. Nopparat Thara’s beauty stems mostly from the fact that it’s incredibly peaceful; on a good day, you can swim between the karst on the further point of the 5km beach and not see a single other person. For beauty, seclusion and a window onto local life, Nopparat Thara should be on your list.